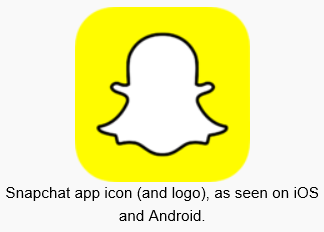 Snapchat is a photo and video messaging app that has seen a huge surge in popularity since it was launched September of 2011. It is the largest and most used app of this type currently. This mobile app allows users to take and send photos and videos that disappear after just a few seconds. When a user is preparing to send a message to someone, they decide if it will be available for viewing for between 1 and 10 seconds. Other fun features include filters, adding text and graphics to an image, and more. The attraction to this app is that it allows kids to send to friends what is happening in the moment without the permanency that comes with traditional social media sites. Unfortunately, nothing digital is truly gone. Like other social media sites, Snapchat users must be aged 13 or older to have an account. Following a hacking, Snapchat user’s information was leaked to the Internet and included such identifying information as usernames and phone numbers. In an effort to improve security, Snapchat has introduced a two step verification process to help boost the app’s security. Regardless, this is not a full proof system and kids under 13 can become users. Talk to your child over what content to send. Even though your child may think that they are sending the picture or video to a friend, remind them that this app has been hacked in the past and it could happen again. That means any image they send could be made public and not to send something they would not want the whole world to see. Finally, talk to your child and remind them that pictures can be saved. Even though the app is intended to only allow viewing of the pictures for a brief time, there are many ways to get around this. Screenshots (an ability on most smartphones to capture the current screen similar to the print screen option on a computer) can be taken and there are many software programs you can download to a phone to save images permanently. Additional resources can be accessed with this helpful guide.